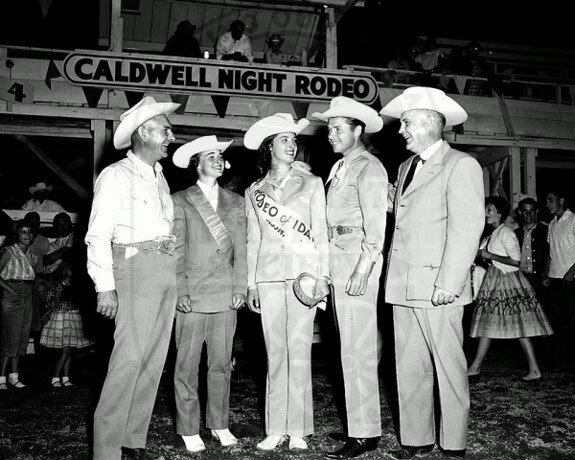 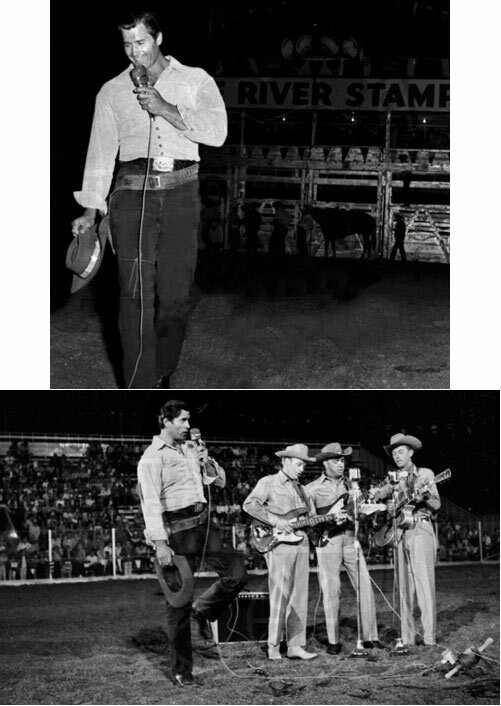 Audie Murphy (second from right) at the Caldwell, ID, rodeo on August 4, 1957. 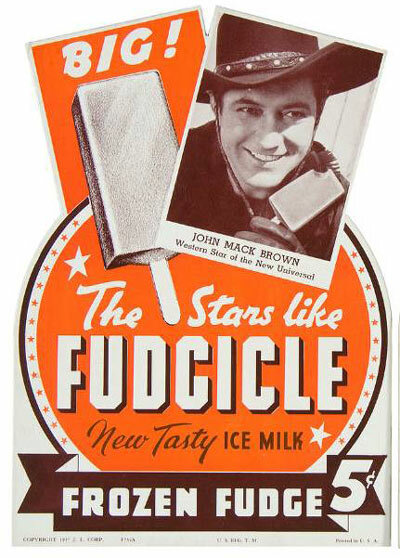 Did you have one of these? 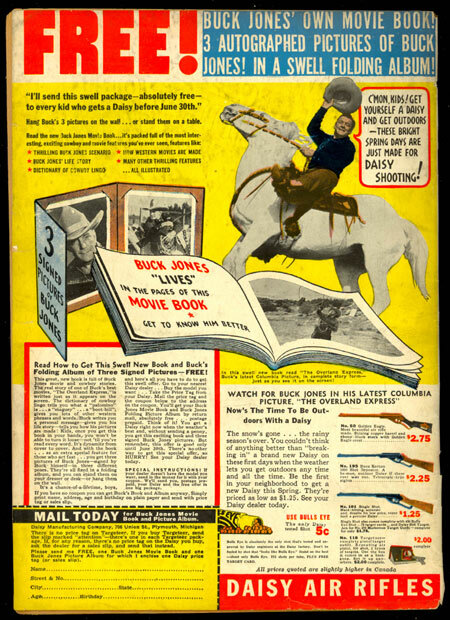 Buck Jones Daisy Air rifle ad on the back of POPULAR COMICS #29 (June ‘38). 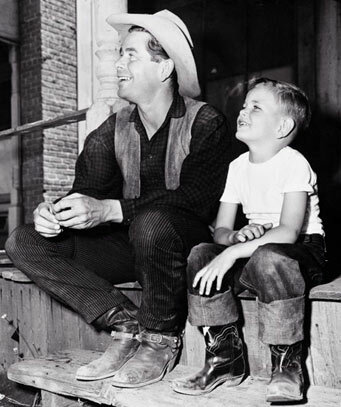 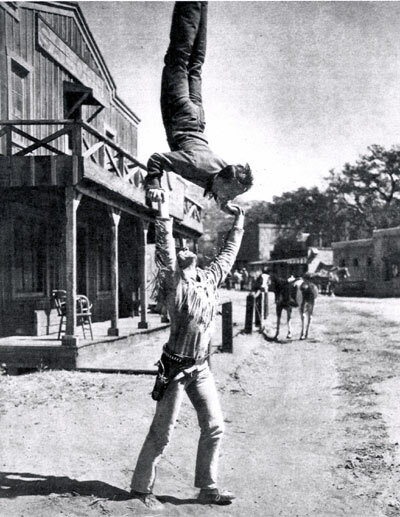 A young Peter Ford visits his dad Glenn Ford on location. 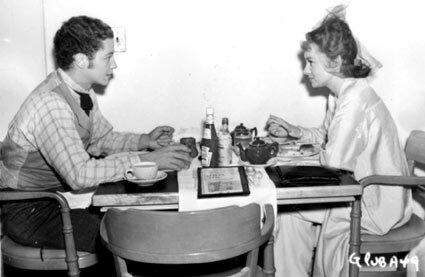 A young pre-war Tim Holt lunches with actress Ann Shirley in the RKO commissary. 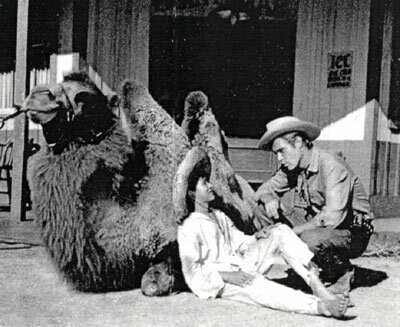 Child actor Ricky Vera snuggles up to a camel and talks with “Broken Arrow” series star John Lupton between scenes of the December 1956 episode “Cry Wolf”. 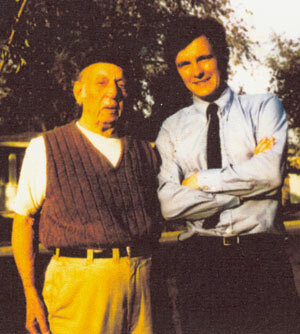 Raymond Hatton with WESTERN CLIPPINGS columnist John Brooker outside Hatton’s home in the ‘70s. 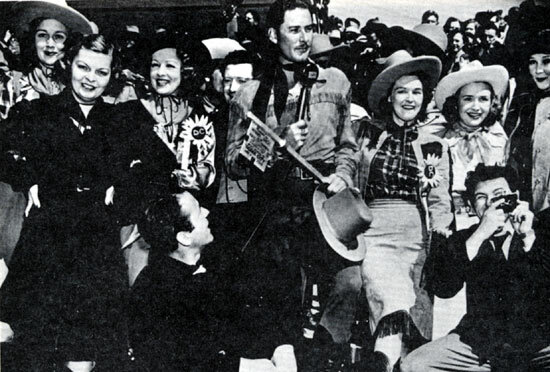 (L-R) Lola Lane (with hat), Mayo Methot, Humphrey Bogart (sitting), Claire Windsor, Frank McHugh (behind Flynn), Rosemary and Priscilla Lane, John Garfield (with camera) and Jean Parker join Errol Flynn in accepting the key to the city of Dodge City, Kansas during the November 1938 premiere of Warner Bros.’ “Dodge City”. 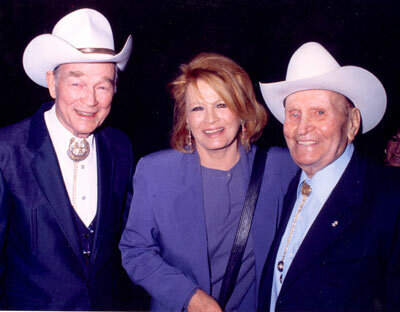 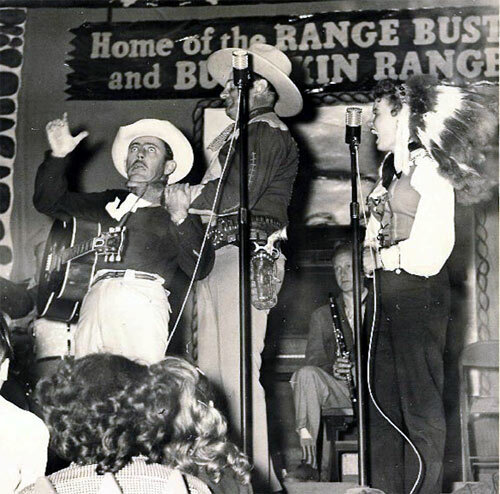 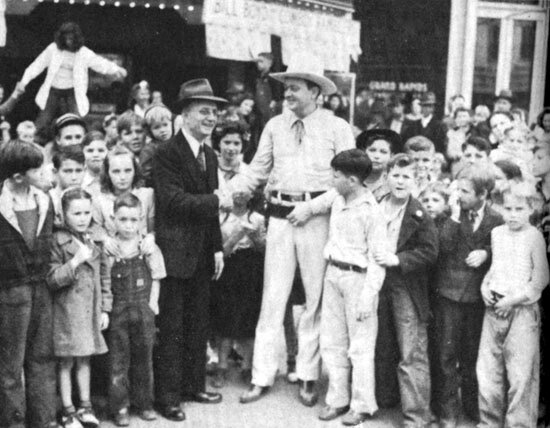 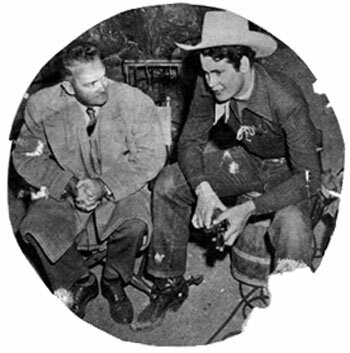 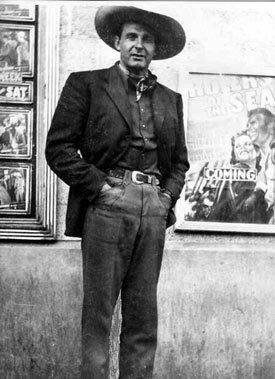 PRC’s “Cowboy Rambler” Bill Boyd meets with a group of his fans in 1942. 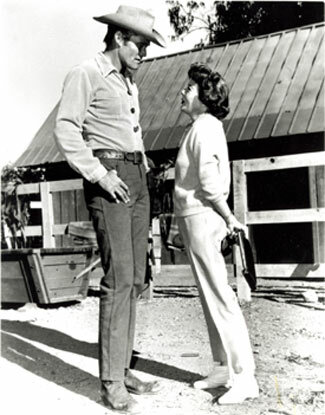 Chuck Connors talks with director Ida Lupino. 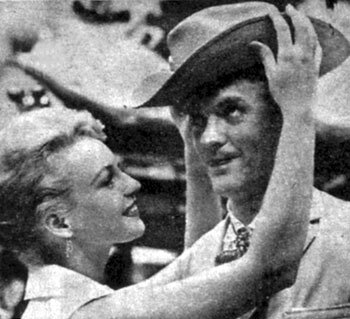 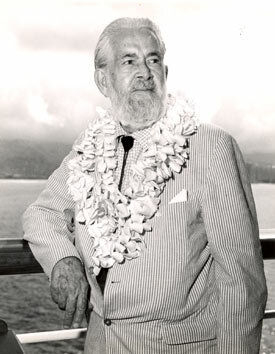 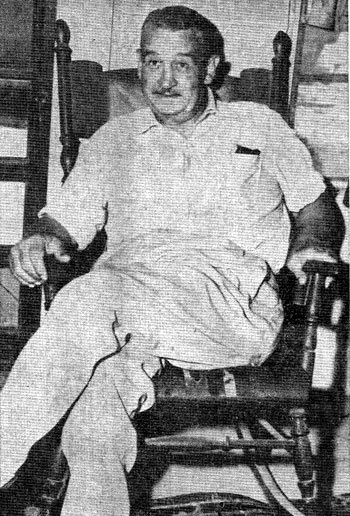 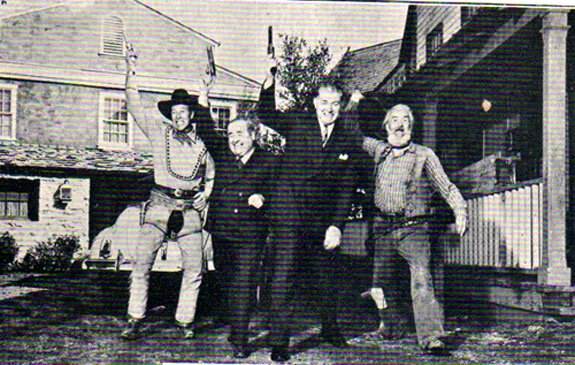 Lupino directed the “Assault” episode of “The Rifleman” in 1961. 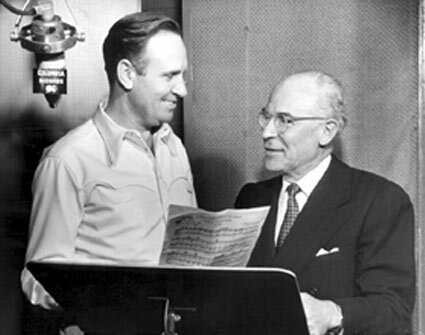 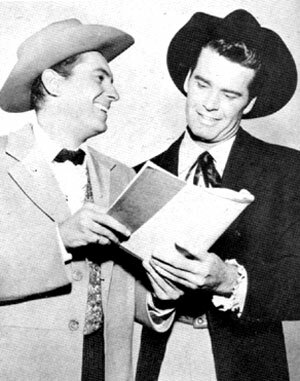 The “Maverick” brothers, Jack Kelly and James Garner, chuckle over their latest script. 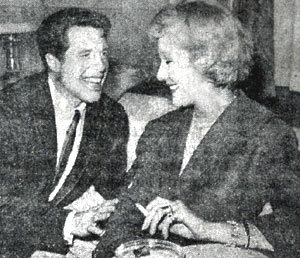 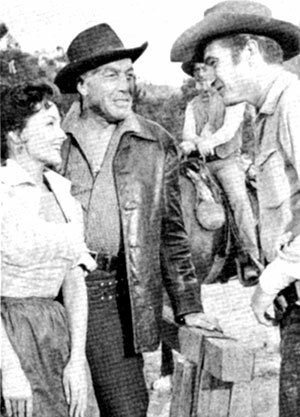 Mari Blanchard and Cesar Romero talk with Eric Fleming during a break from the filming of “Rawhide: Incident of the Stalking Death” in November 1959. 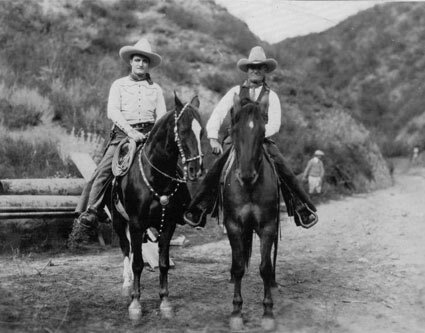 Note Paul “Wishbone” Brinegar on horseback in the background.